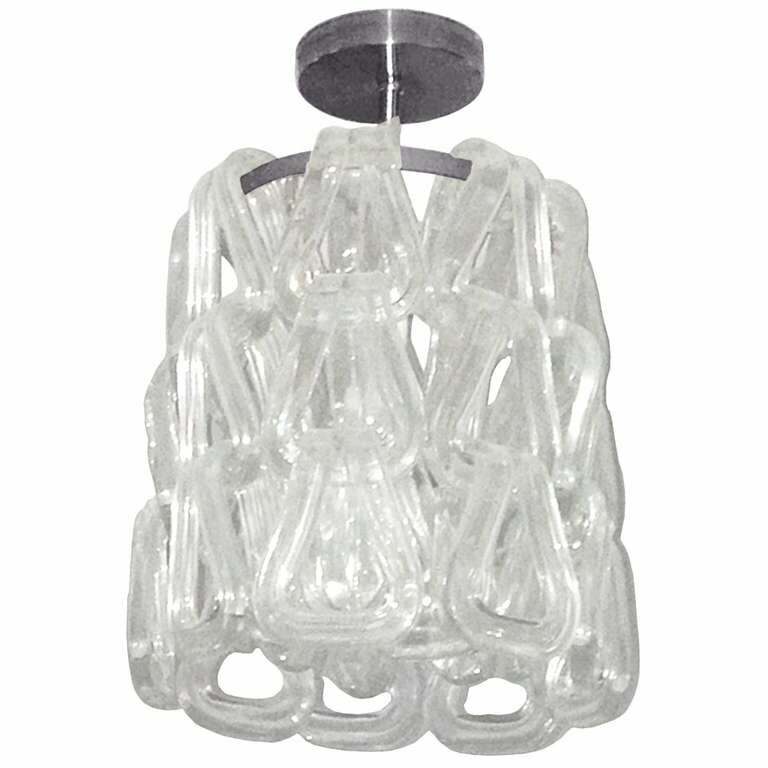 Stunning Murano glass chandelier designed and manufactured by Mazzega. 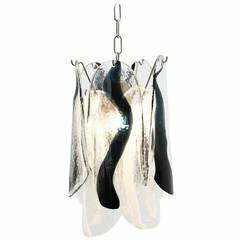 The chain like pendants drape over the chrome frame, the glass is heavy and thick but is very delicate to the eye. 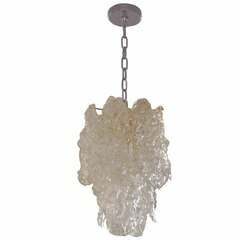 These chandelier came out of a NY estate, they where installed in the late 1960s-early 1970s and remained at this home until recently. The piece is in excellent original condition, the glass is free of cracks or chips and the chrome is in very good condition. 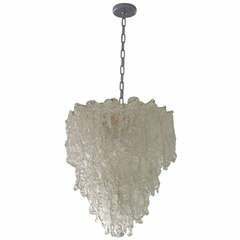 Measurements: 19" high x 12 1/2" diameter x 14" high (chandelier only) If you are coming to our show room to see a piece please call ahead of time because due to our large inventory some items are available by appointment only. All of our sales are final, no refunds, no exchanges and no returns no exceptions. The chandelier is in very good original condition. 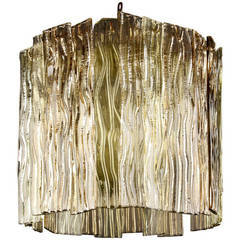 Italian vintage chandelier Murano glass leaves by Mazzega. Made in Italy in the 1960s. 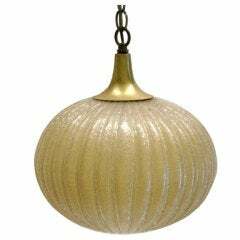 Murano glass chandelier by Mazzega, Italy, 1960s. Perfect condition 8 removable multi-color glass blades. Mount an E 27 bulb. 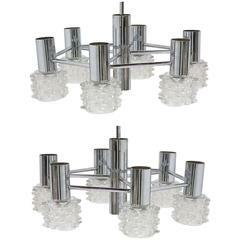 Two tier Murano Glass chandelier by Mazzega, Italy. Black and white. Italy 1960`s. Very good condition. 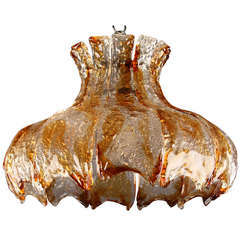 Mazzega Murano glass chandelier, Venice, Italy, circa 1960s. Glass only height: 11 1/2" - 29.2 cm. Total height: 28” – 71 cm. Total width: 13" - 33 cm. Stock No: CH1672.